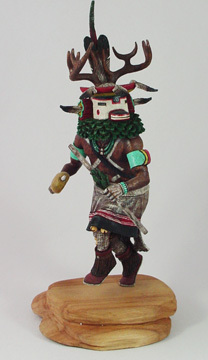 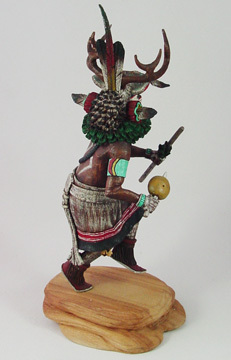 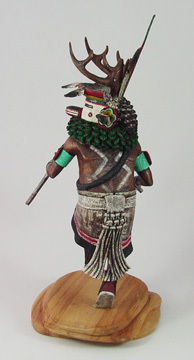 Deer Dancer (Sowi-ingwa). 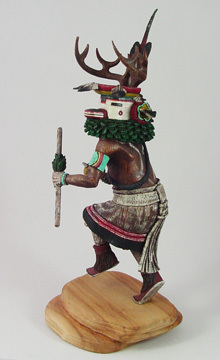 The Deer Dancer is a social dancer. 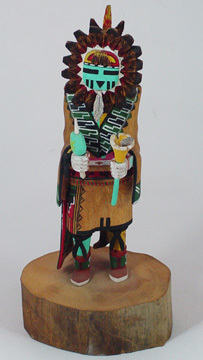 He helps to ensure that game is plentiful and that sufficient snow comes in the winter to allow a good harvest the following year. 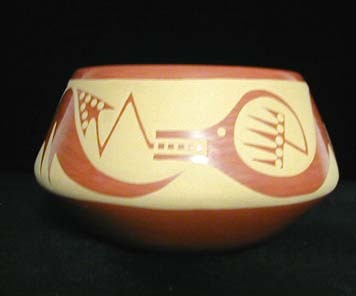 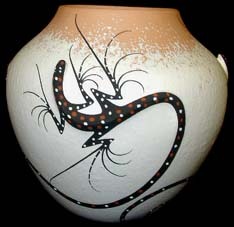 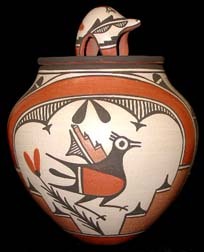 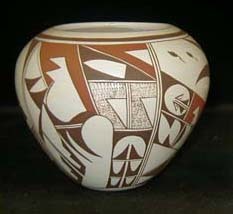 This version is from the Laguna Pueblo. 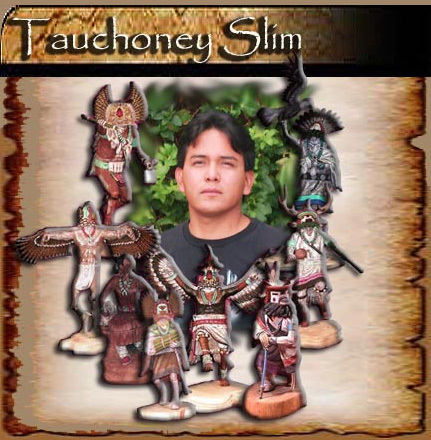 Tauchoney Slim was born in Red Lake, Arizona in 1967. 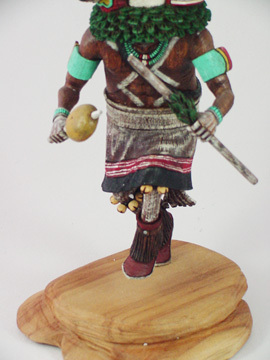 He is a self-taught wood carver and stone sculptor. 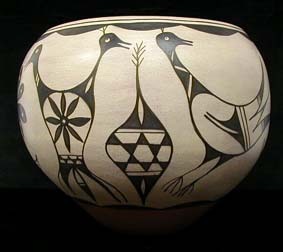 As an artist, Tauchoney devoted himself to his art, using it as a means to express the intercultural religion of the Western Indians. 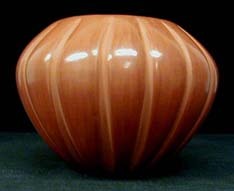 The art he creates, whether in stone or wood, is depicted in realistic forms. 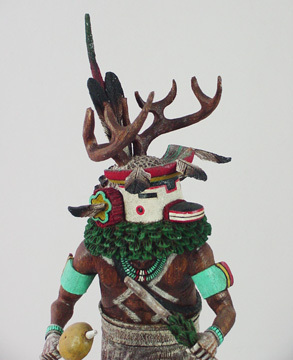 Tauchoney is grateful to all the artists who helped him build and hone his carving skills.